Considering more and more clients of ours requires lighter weight and with high lumens trade show exhibit light, we design and produce this LXCOB-C to satisfy their needs. Using plastic and metal, LXCOB-C is only 0.88(lb) , easy to install. 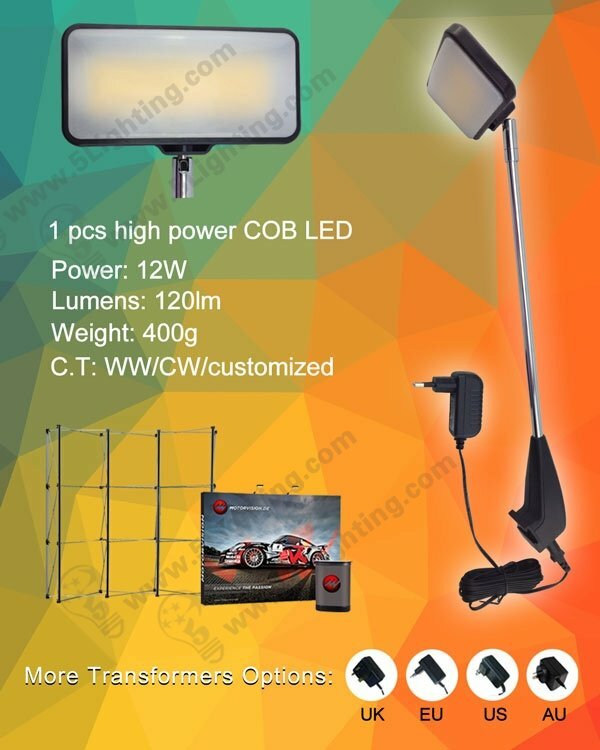 Whats more, with 1pcs high power COB LED chip, with high lumen efficiency, LXCOB-C can spot 1200lm to illuminate the display area.